I was lucky enough to receive a beautiful early Christmas present at the weekend, a handsome and heavy volume of architectural history entitled "The Library, A World History", by James WP Campbell and Will Pryce. It's quite a story of some incredible buildings, although of course that is scant comfort to those today facing the loss of their livelihood or an essential local service. In 2012, we had 4064 public library buildings and 548 mobile libraries. Around 300 of those have closed, with up to 400 threatened with closure, meaning we could lose up to a quarter of our library service by 2016, according to The Library Campaign. The recent grim news about The Library of Birmingham just adds to this list. As a writer, never mind a regular library user, those are the kind of statistics which keep me awake at night. Because beyond mourning the vital community roles all our libraries play - there is a deeper fear, isn't it? That allowing libraries, even grand new ones like Birmingham, to stumble and fall, is the icing on a cake of long term cultural and intellectual decline. Libraries are, by primary definition, book storage facilities. And if we don't value the book as an artefact worthy of proper storage and archiving in recorded collections and don't cherish those collections as resources of immense public value, which we should all have access to - then we are in slow retreat from the calm seas of wisdom, knowledge and reason offered by the printed page. 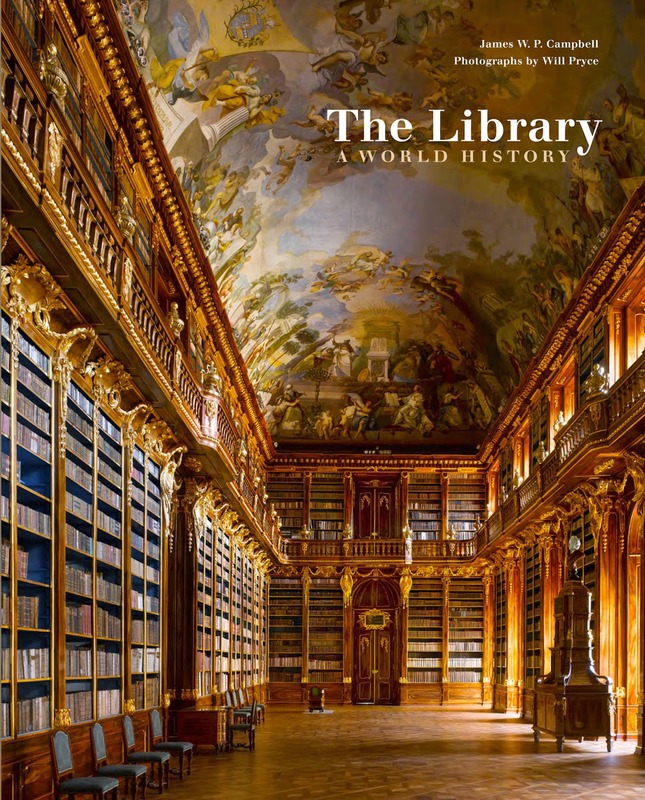 "The Library: A World History" doesn't allay those fears, or make our current situation any less desperate, but it does provide a fascinating story to while away those sleepless hours. The evolution of the library as a physical space is, appropriately, as good a tale as many of those stored inside one. 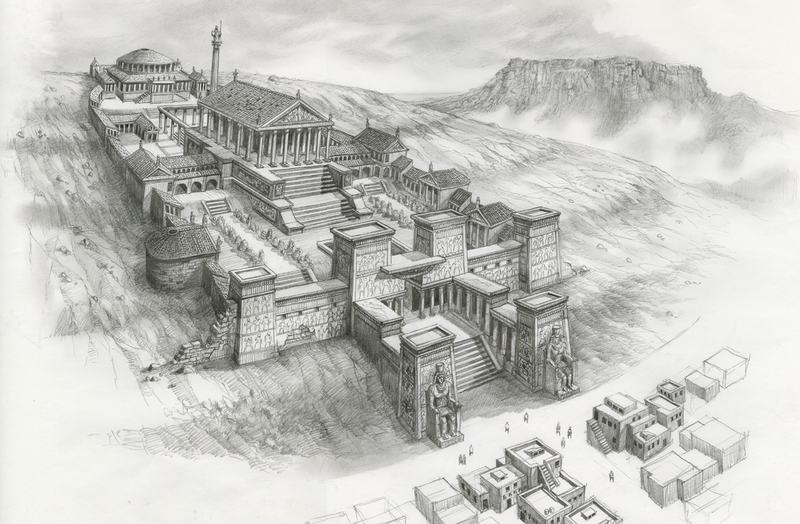 We know surprisingly little about the first great libraries of antiquity - many in ancient Egypt, which stored clay writing tablets are lost forever, as is the most famous of them all - the classical library of Alexandria. The legend runs that it was destroyed by fire, and there are many myths about invading Ottoman armies burning the books to fuel the bath houses. But the more likely truth is that the first significant library of record dwindled as the material classical Egypt's archives were comprised of - papyrus - rotted and crumbled away. The fire at the Palatine was not helped by the fact that the scrolls were packed tight in locked cupboards... to protect them from the damp. One of the oldest existing libraries in the world, the stunning Tripitaka Koreanna in the mountains of South Korea, owes its eight hundred year survival largely to an early but excellent ventilation system. 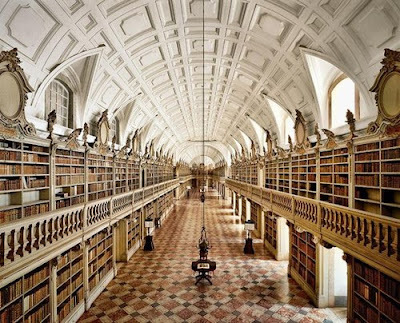 The Rococo 17th century Mafra Library in Portugal, believe it or not, has been maintained by a permanently resident colony of bats, who eat the insects that would have otherwise long since destroyed the books. Ironically, the Mafra Library itself was funded by money from the savage destruction of another civilization's archives. The Incas did not have books, but "kept records on knotted and braided ropes, which the Spanish destroyed, believing them to be bad omens." But even worse, the entire history of their peoples was recorded in 1450 on golden plate, which the invading European armies melted down and used to (in part)...fund their own library. That may just be one of the reasons why gold plate is not used to make books anymore. Indeed, the changing physical nature of books - from clay tablets to papyrus scrolls to wooden printing blocks, to parchment, vellum and paper, has forced libraries to constantly remodel to accommodate not only their changing shape, but their increasing number. More books than ever before were published worldwide last year. No wonder that coincides with the first ever "bookless" library opening in Texas to offer its long range readers a space efficient digital service. But digital data is physical too. 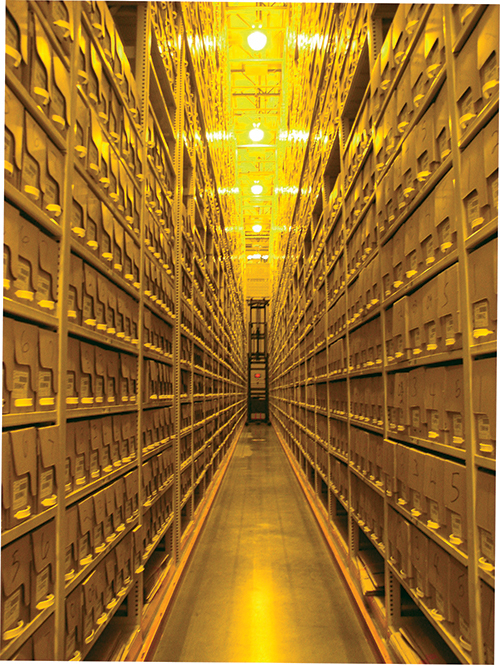 The Library of Congress in Washington has to store about 20 terabytes of data on its 830 miles of underground shelving, including a record of every tweet sent in the world ever. The 19th century vision of the municipal public library for all in the US and the UK may be under threat from a malign political ideology, but the truth is the library has never been a static or permanent public space. Countries like China are building new and amazing public buildings at great speed. For centuries in Western Europe, the library was a spare room off a cloister where a tiny number of educated monks could read a few hand inscribed volumes that were chained to the shelves to prevent theft. Now, anyone of us can download most books published in a second, often for free. That should never be used an argument against the value of the civic space our public libraries provide, but as the story of the book changes - so does the story of the library. "..Libraries are, by primary definition, book storage facilities.."
As a long time user of public libraries, I've never viewed libraries as that. ".... Now, anyone of us can download most books published in a second, often for free.... "
Amazon Prime subscription on your Kindle ? What wonderful pictures! 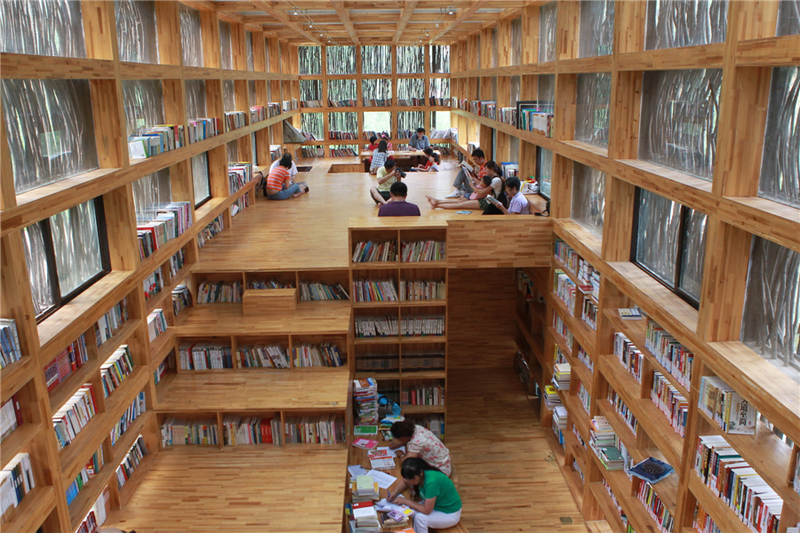 It's heartening to see so many beautiful libraries. I love the Chinese one, although personally I'd want to sit somewhere other than on the floor. I had always believed that the famous library of Alexandria was destroyed in an accidental fire and that everyone was distraught at its loss. The idea of the papyri just mouldering away over time doesn't make for such a good story!